Project stakeholders are now universally acknowledged as a prime critical success factor on every complex project. Hence, and especially for key decision-makers of projects, a pro­found knowledge of practical strategies and measures which can be applied to effectively and efficiently manage and engage their stakeholders, both primary and secondary, is essential. Doing so can significantly reduce threats, existential or otherwise, to their projects on the one hand while helping the projects benefit considerably from the sustained support, encou­rage­ment and goodwill of their stakeholders on the other. Experience with large and complex construction and civil infrastructure projects shows that in general much ignorance currently still prevails about how stakeholders should be managed and engaged appropriately in this important field. 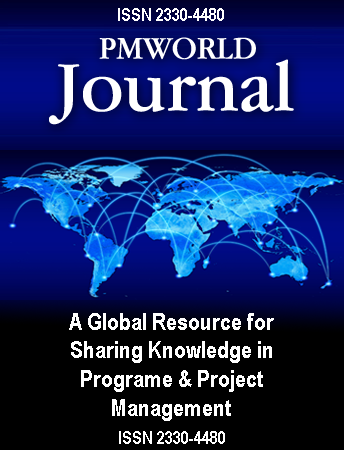 The many observed and often avoidable conflicts which arise and linger on or escalate over time between such projects and their stakehol­ders and the frequent and surprising ineffective stakeholder management and engage­ment still often witnessed is clearly indicative of this knowledge deficiency persisting in practitioner circles. This deficiency appears to have been rarely addressed comprehensively and at sufficient depth in the project stakeholder literature. Through an analysis of extensive available documentation collected from diverse sources in the public domain on over fifty on-going and completed high-profile construction and civil infra­struc­ture development projects across the globe, as well as on some selected projects in other fields, the authors have explored a broad spectrum of stakeholder management and engage­ment strategies applied in practice. In particular, the authors have focused their attention on seeking out in­no­vative and effective strategies designed to maximize benefit for both the projects and their stake­holders and to thus ensure attainment of a ‘win-win’ situation for both. Through their research the authors hope to deliver insights to project decision-makers and motivate them to significantly improve the quality of their interaction with their stake­holders over time through pursuit of conceptually sound and empirically tested strate­gies which serve the interests of their projects while simultaneously ensuring that the legitimate inte­rests of their stakeholders are duly taken into consideration. In their paper A Governance Framework for Managing and Engaging Project Stakeholders which was presented at the University of Maryland’s first project management symposium in June 2014, the authors proposed and discussed four pillars – i.e., the institutional, instrumental, technical and educational – on which they argued that professional and successful management and engagement of project stakeholders by organizations regardless of their sectoral context (public sector, commercial, not for profit) can rest. For analytical clarity the aut­hors reserved the term ‘manage­ment’ for the project’s dealings with its primary stake­hol­ders and ‘engagement’ for its dealings with its secondary stakeholders – a distinction which is normally not applied in the project stakeholder literature where the terms are often used interchangeably. Both (primary) stakeholder management and (secon­d­ary) stakeholder engagement lie at the end of a complex process which com­mences with project contextua­lization in stakeholder perspective followed by stakeholder iden­ti­fication and a thorough stakeholder analysis, and finally culminating in design and execu­tion of effect­ive and efficient management and engagement strategies which are basically intended to influence stake­holders in favor of the project. This paper’s objectives are two-fold: First, to propose a practical strategy framework which can assist projects in managing their primary stakeholders and especially in engaging their second­ary stakeholders more effectively because the latter lie out­side the project’s formal control making the task of engaging them comparatively more difficult for projects than managing their primary stakeholders. Second, this paper seeks to acquaint readers with selected exam­ples of excellent stake­holder management and engagement used on projects across the globe, primarily in the field of Construc­tion and Civil Infrastructure Development (CCID), and also in other selected fields. CCID-projects were considered a logical choice for analy­tical focus because pro­jects falling under this broad cate­gory, such as highways, railway, air- and seaports, power stations and electricity transmission infrastructure, oil & gas fields and pipelines, dams, mining, major buildings and industrial facility construction and de­velop­ment and other projects having immense economic significance, typically have highly complex stakeholder patterns which allow many possibilities for the application of creative stakeholder manage­­ment and engage­ment. For this explora­tory research seve­ral pro­jects were carefully reviewed using books, articles in several project and construction management research journals, reports, case studies, project documentation and other published information freely available in the public domain. In addition, a small number of interviews were con­ducted with several project professionals with at least ten years of relevant project experience. Consequently, numerous excellent examples of stakeholder management and engagement emerged but space con­straints must restrict the discussion here to just a handful of them. The examples selected for inclusion in this paper are purely inspira­tional and intended to show project owners, planners and executors how projects may benefit immensely from good and innovative stakeholder management and en­gagement prac­tices, without exces­sively burdening the projects, finan­cially or otherwise. It is hoped that this will not only educate them about the breadth and diversity of good practices used for dealing with stakeholders, but also encourage them to apply their minds creatively to develop and implement good practices on their own projects. Editor’s note: Second Editions are previously published papers that have continued relevance in today’s project management world, or which were originally published in conference proceedings or in a language other than English. Original publication acknowledged; authors retain copyright. This paper was originally presented at the 2018 University of Maryland Project Management Symposium in May 2018 and included in the conference proceedings. It is republished here with the permission of the authors and conference organizers. John Cable is Director of the Project Management Center for Excellence in the A.J. Clark School of Engineering at the University of Maryland, where he is also a professor and teacher of several graduate courses in project management. His program at the University of Maryland offers masters and PhD level programs focused on project management. With more than 1,300 seats filled annually with students from many countries, including more than 40 PhD students, the program is the largest graduate program in project management at a major university in the United States. John Cable served in the newly formed U.S. Department of Energy in 1980, where he was involved with developing energy standards for buildings, methods for measuring energy consumption, and managing primary research in energy conservation. As an architect and builder, Mr. Cable founded and led John Cable Associates in 1984, a design build firm. In 1999 he was recruited by the University of Maryland’s Department of Civil & Environmental Engineering to create and manage a graduate program in project management. In his role as founder and director of the Project Management Center for Excellence at Maryland, the program has grown to offer an undergraduate minor, master’s degrees, and a doctoral program. Information about the Project Management Center for Project Management at the University of Maryland can be found at www.pm.umd.edu. In 2002, PMI formed the Global Accreditation Center for Project Management Educational Programs (GAC). Mr. Cable was appointed to that inaugural board where he served as vice chair. In 2006, he was elected as chairman, a role he held through 2012. As Chair of the PMI GAC, John led the accreditation of 86 project management educational programs at 40 institutions in 15 countries in North America, Europe, the Middle East, Latin America and the Asia Pacific Region. John was awarded PMI’s 2012 Distinguished Contribution Award for his leadership at the GAC. He can be contacted at jcable@umd.edu.